The UK aviation sector generates a turnover of £60.6 billion supporting 961,000 jobs, many of them highly skilled and highly product. The industry also supports more than 3,500 apprenticeships across the country. Swissport, a Swiss aviation services company, provide airport ground and cargo handling services. They are currently working with NewVIc on a programme for over 100 travel and tourism students at Standsted Airport. NewVIc is the only college from Newham to be taking part in this programme which is aimed at encouraging, interesting and exciting students with opportunities in the growing aviation industry. 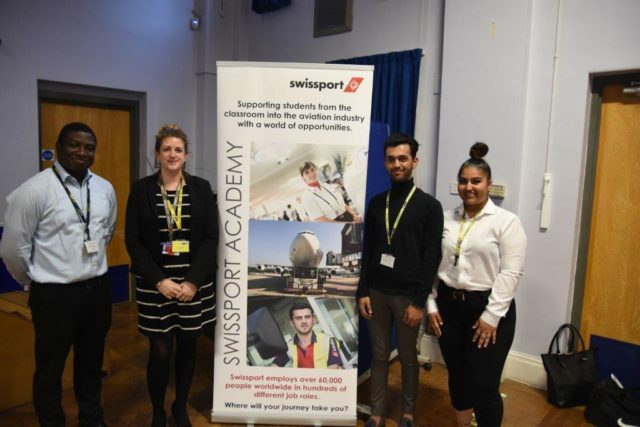 The programme includes classroom workshops, three airport visits including a tour of the airport and shadowing a variety of job roles with Swissport. The roles include check-in, baggage handling, floor hosts, ticket desks, control rooms and shift managers. This opportunity will help students to get hands on experience of what it is like working in the aviation industry. Students can apply for a two-week work placement involving an interview and the chance to get a real job at the end of it.